Today’s NFL Draft is very special to me and it is all about the sacrifices made in the Theater. 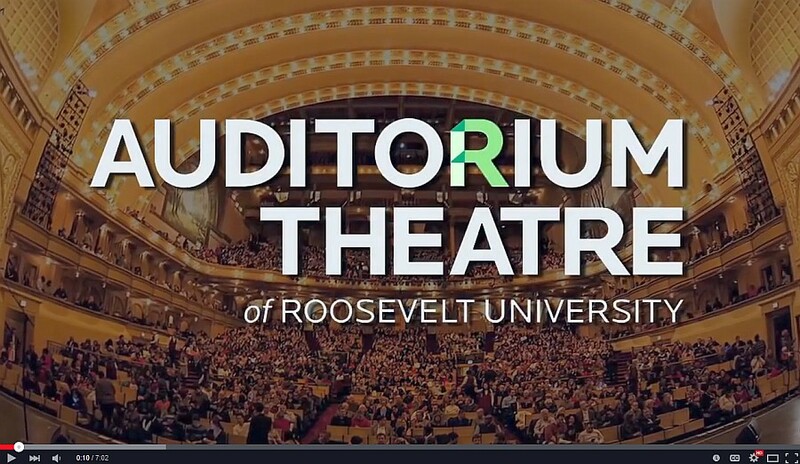 Today’s NFL Draft will be taking place at the Auditorium Theater of Roosevelt University, a place that is very special to my family and me. My father started as a young apprentice painter at Roosevelt University in the early 1960’s located in the historic Auditorium Building on Michigan Avenue in Chicago which was originally build in 1889 as hotel and theater. My father worked in the theater during the restoration in the mid 60’s and laid much of the gold leaf high on the ceilings. As a kid, my dad would bring the family downtown to see numerous shows and I have many joyous memories of seeing my mom’s favorites performers. Another benefit of being an employee of Roosevelt was that your children received free college tuition therefore my dad stayed on that job for over 35 years in order to allow my siblings and I to take advantage of the free private school education. During my time at the University I blossomed, I worked in the school library during the days and as it was mostly a night school at the time I filled my time by became active in some of the schools activities. I became a Resident Assistant in the school dorm that was attached to the building and therefore had back door access to balcony’s of the Theater to see any show I wanted to see. I ran and was elected to the Student Senate and the following year I was elected “President of the Student Body”. During my term, a new President of the University was hired and it was on the stage of the Auditorium Theater that I gave the welcome speech from the student body. I made him aware that in the history of the school that there had never been a student serving on the Board of Trustees therefore in 1989, I was selected to be the first student in the history of the University to sit on the Board of Trustees of Roosevelt University. The next year I crossed the stage of the Auditorium to pick up my Bachelors and I was working on my Masters when permanent full time employment pulled me away. My brother & sister both crossed that stage to pick up their degrees too. Today the stage of the Auditorium Theater will be a magical time for a few athletes who hear their name called out so they can put on a baseball cap from the their future employer. That being said, my views of the NFL draft will only remind me of the sacrifices that my father laid down for the betterment of his four children. The Cities of Dunwoody & Peachtree Corners is coordinating a final "wrap-up" community meeting on the Winters Chapel Road study. The study is now complete as both cities approved the plan and on Thursday Pond & Company will present its results of study findings and the action plans moving forward. The City is holding a Town Hall Meeting and we want to hear from you! Become an active part of your local government and share your thoughts, questions and ideas at the Dunwoody 2015 Town Hall Meeting. The Town Hall will be from 6 p.m. – 8 p.m. at Georgia Perimeter College - Dunwoody Campus Auditorium, 2101 Womack Road. This is your chance to participate in authentic conversation focused on pertinent community issues and topics selected by you, the participants. Featured speakers include Dunwoody Mayor Mike Davis and City Manager, Eric Linton. 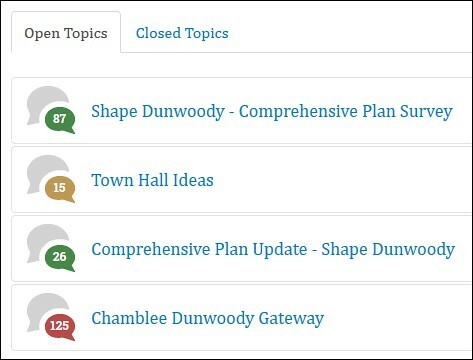 Visit ConnectDunwoody.com to let us know what topics and issues you would like to see discussed. The Tap into Georgia Beer Festival returns to Brook Run Park on June 13th from 2:00 – 6:00. We’ll feature an exclusive selection of craft beers from Georgia’s finest breweries. Come and jam to the tunes of The Rays and The Bad Neighbors, and bring your chairs, blankets, and lawns games as you join your friends on the great lawn. Who wants to go to a beer festival in a parking lot, when you can hang out in a park? Last year’s event sold out in advance and this year’s festival will be limited to only 500 tickets so don’t miss out! 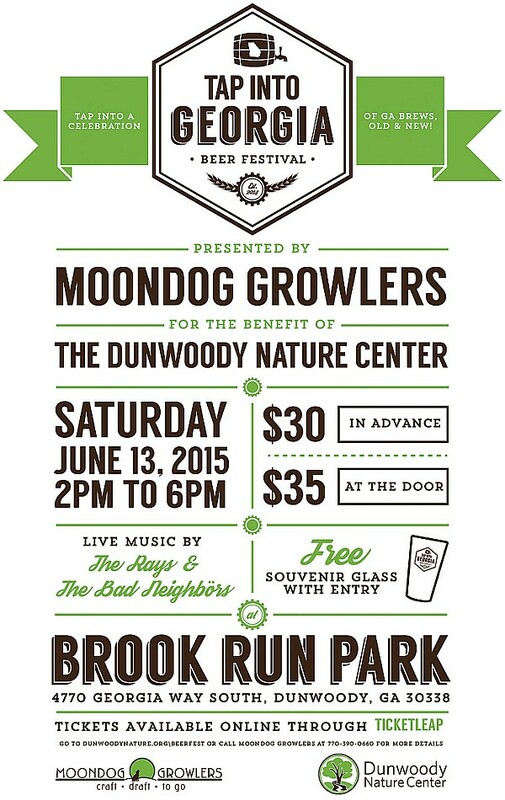 All proceeds from the festival benefit the Dunwoody Nature Center. Large list with over 34 streets named with the latest additions shown below. SECOND READ: SLUP 15-041: Civic Center Partners, LTD., applicant and owner of 1441 Dunwoody Village Parkway, Dunwoody, GA 30338, seeks the requirement for a building tocome into full compliance be waived to allow for building renovations in the DunwoodyOverlay District under the approval of a Special Land Use Permit. The tax parcel number is 18 358 06 017. Discussion of Agreement with Doraville to Install a Mid-Block Crosswalk on Tilly Mill Road. Dunwoody Police makes Pedestrian Safety a priority as City Council plans for a new crosswalk on Tilly Mill. The Dunwoody Police Department conducts frequent, multi-faceted safety operations to reduce pedestrian injuries and fatalities as part of their Pedestrian Safety Initiative. Today this type of sting will be happening once again. Crossing Tilly Mill Road in Dunwoody is dangerous for pedestrians, as many drivers do not stop for crossing pedestrians and Georgia crosswalk laws are poorly understood. This area is also an active pedestrian corridor and bus route for area neighborhoods. 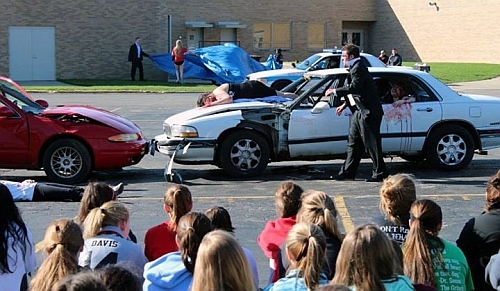 Respectful driving is necessary to ensure the safety of all users of the road. 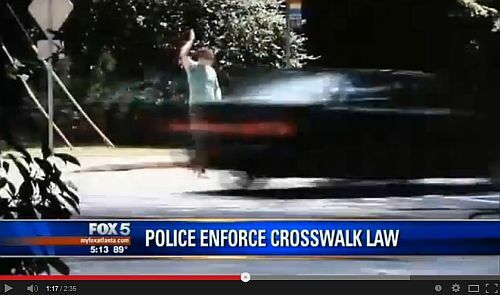 Police will target drivers who fail to stop for pedestrians in crosswalks. PEDS supports this operation by providing training in pedestrian safety enforcement to the police. In partnership with the Governor's Office of Highway Safety, PEDS also provides educational flyers that drivers receive along with their citations. On average, every day 4 pedestrians are hit by drivers in metro Atlanta. Georgia law requires drivers to stop (not just yield) for pedestrians in crosswalks, even when the pedestrian is in another lane. Lower speeds greatly reduce the risk that a pedestrian crash will be fatal. My sister Kathleen works at the high school she graduated from almost 30 years ago and in preparation for the up coming Prom Season she assisted in putting on "Operation Prom Night" for her students, which is a program about making smart choices during prom season and throughout life. Dunwoody Food Truck Thursday Lineup offers 68 degrees, partly cloudy skys and zero percent chance of rain. No baby was ever more loved & wanted than young Kai ! 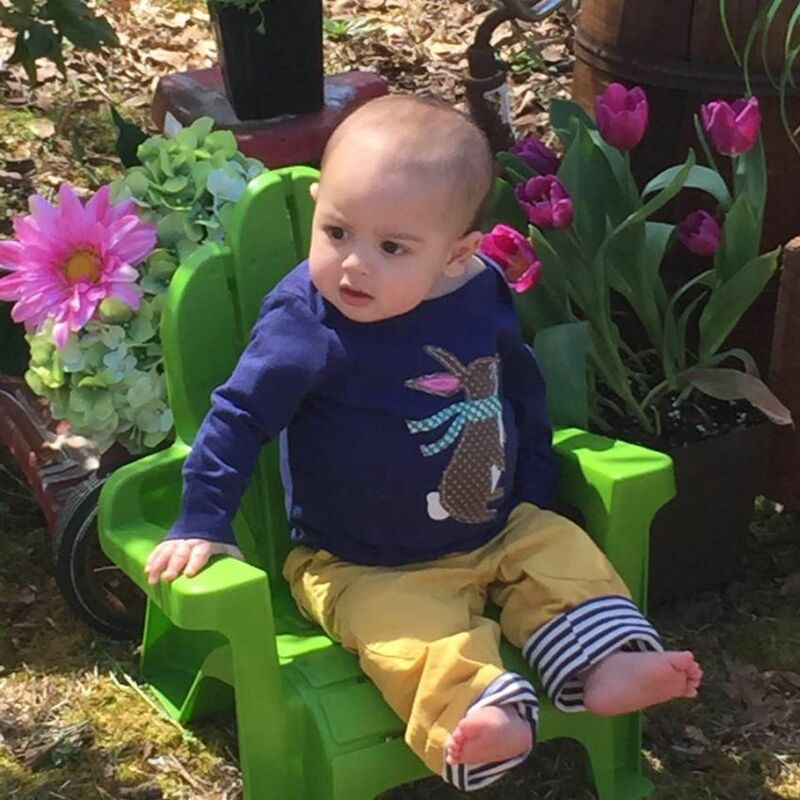 This is Kai Mattison, the son of Brett & Jenn (a local DES, and former Chesnut teacher). He came to them through the miracle of adoption. But unfortunately, sadly, horribly, and unfairly Kai very recently lost his life to a rare, aggressive form of Kidney Cancer. It was the day before his 10 month birthday. To add insult to injury his parents are left with lots of debt from astronomical medical bills, lost wages due to precious time spent with their son, and burial expenses. We can't take their immense grief away, but we can help lessen the financial stress. So, we the former students of Jenn Spence Mattison, who are now students at Dunwoody High School, are having a car wash fundraiser to support this wonderful teacher. It is the very least we can do and please join us in supporting this worthy cause. For the past eight years, the language students of Dunwoody High School have hosted a week of cultural activities called International Week. 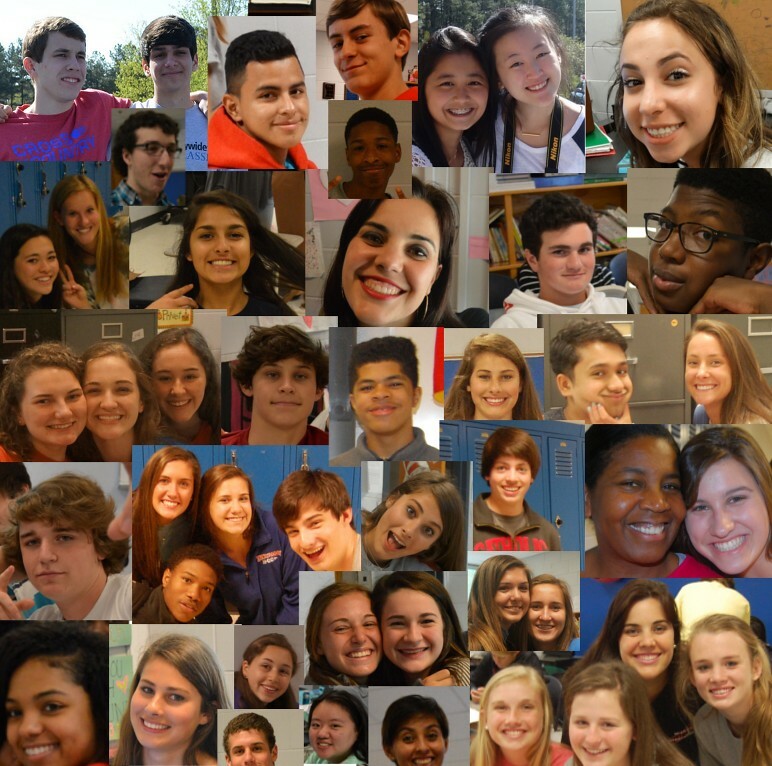 Through food, decorations, and games, students step into the many different cultural footprints found at Dunwoody High School. The students do everything from creating the fun games to contacting speakers to come and talk at the school. This year’s theme is “Step into Culture”, where we focus on each of our cultural footprints from around the world, and show how these footprints come together to explore the diversity found every day in the halls of Dunwoody High School. International Week culminates with International Night, which is on Friday, April 24 from 6:00 PM-8:00 PM at Dunwoody High School (5035 Vermack Road) in the cafeteria. Families are invited to come share a potluck dinner featuring performances by students. Tickets are only $6.00 per person. The unique T-Shirts are designed by the hardworking students of Dunwoody High, and will only be on sale from April 15 through 17, 2015 for $10.00 each. The proceeds will go to the Dunwoody High School language department and clubs, in addition to a local charity. Tickets may be purchased from students at Dunwoody High School who are in World Languages. If you are interested in purchasing tickets to this special event you can also contact us at dunwoodyinternationalweek2015@gmail.com. Don’t miss this opportunity to step into culture! Buy tickets now! RIP Sandy Springs Mayor Eva Galambos - without you there would be no City of Dunwoody. 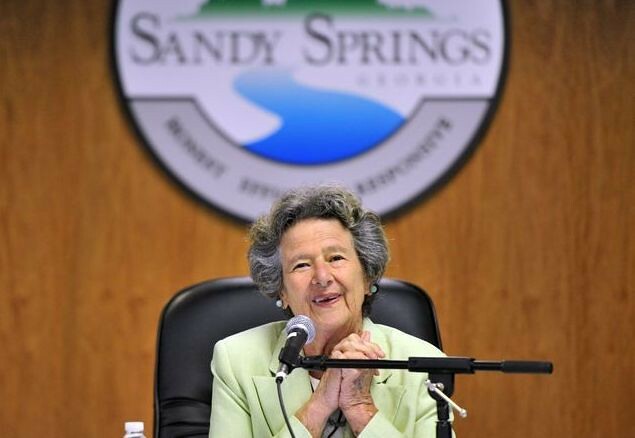 Eva Galambos, the “founding mother” of Sandy Springs who led the 2005 push for cityhood and served as the new city’s first mayor, died Sunday afternoon. 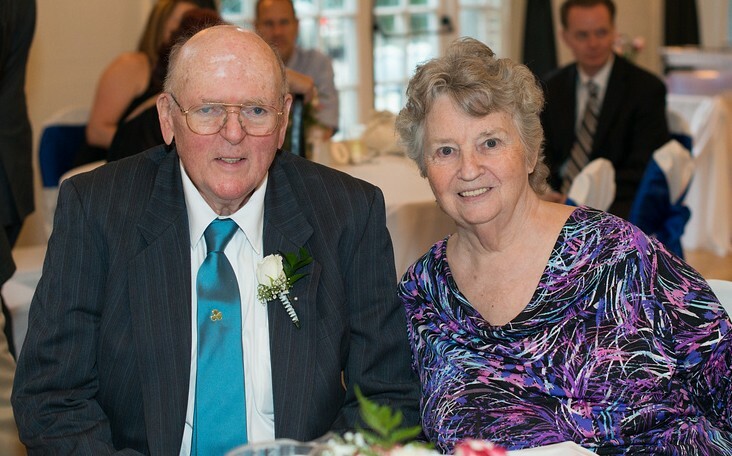 Galambos, 87, died of cancer, according to a statement released by Sharon Kraun, spokeswoman for the City of Sandy Springs. “This is a great loss for the city and a great loss personally. Eva was truly our city mother. Her efforts led to the city’s creation. She cared and nurtured the city, and the strength of our community is due greatly to her unwavering love and devotion to creating something better for us all,” current Mayor Rusty Paul said in the statement. “She led by example and infused an optimism and dedication that remains pervasive throughout the community today,” added John McDonough, Sandy Springs City Manager. Sandy Springs on Dec. 1, 2005, became the first new city in the state in 50 years, and Galambos served two terms as mayor, stepping down in 2013. Teenagers rule the Dunwoody night with endless rides. 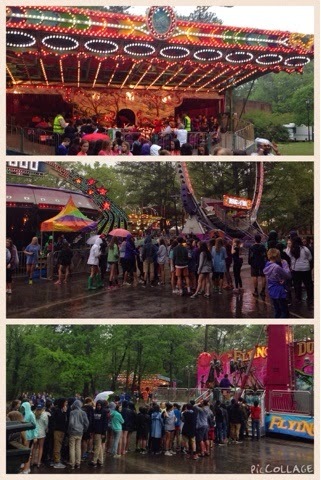 Lemonade Days is in full swing and a little drizzle just adds to the joys of Dunwoody youth. 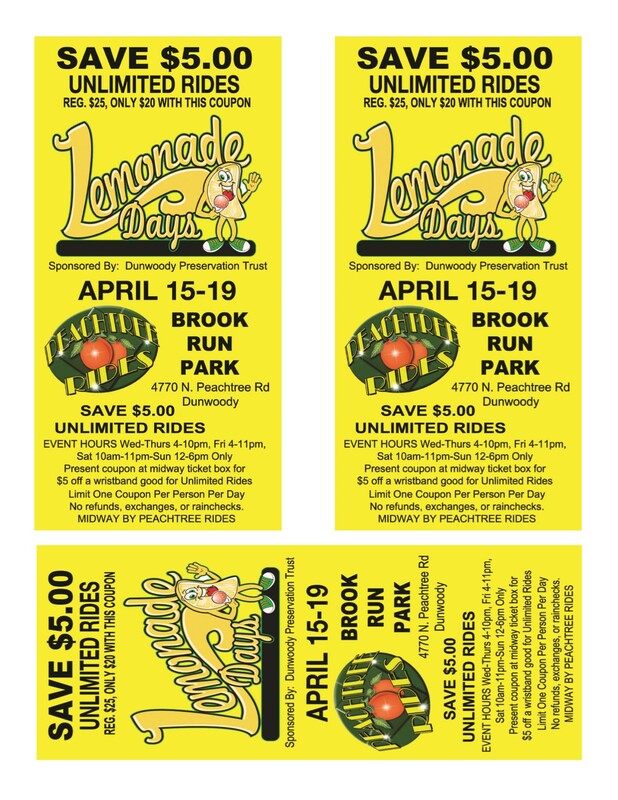 Dunwoody Lemonade Days Festival Coupon 2015 - please come out Rain or Shine !! 8.5 x 11 Full Size - 3 coupon sheet. Lemonade Days will happen, rain or shine! Rides will not be halted unless there are thunderstorms or downpours (neither of which are in the weather forecast). Food vendors and live music will still be there, as will art vendors. What WILL change – completely – is the layout. Organizers spent all day Sunday, moving the entire event to the top part of the park (1st time ever), due to the weather forecast, to keep the rides on asphalt. Food vendors will be where Food Truck Thursdays is normally held, and rides will be on asphalt behind the skate park and up front to the left, as you enter the park from North Peachtree. Art vendors will be along the main road. People can park in the surrounding church lots (note signs that specify Sunday parking start time, depending on when their services end), PCMS, or enter the park at the Peeler Rd entrance and park anywhere down to the right, heading towards the dog park. We’ll have golf carts to bring people up to the front (instead of from N Peachtree down to the bottom of the hill, as we usually do). Lemonade Days is the biggest fundraiser for the Dunwoody Preservation Trust. We have great plans for the funds raised at this event, so we are working super hard to make the adjustments needed, so that people will still be able to come participate, have a blast and support us – they’ll still have a great time! Don’t forget your unlimited ride coupon! Featuring local Dunwoody groups throughout the weekend beginning on Friday evening, all day Saturday and Sunday in the large tent in front of the pavilion. There will be seating inside the tent, as well as, the pavilion area to the rear of the tent. Music will be for all ages and we hope that you can come and enjoy the free concerts while you are here! 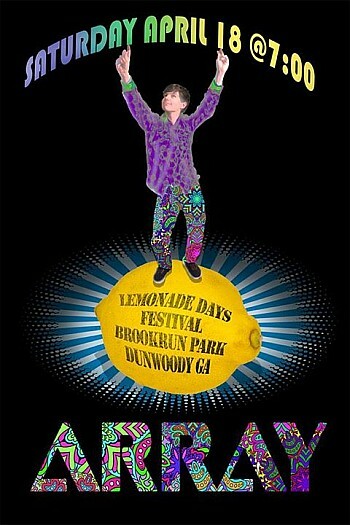 All of our bands are donating their time for the benefit of Dunwoody Lemonade Days. The music review below is from Chris Martin of the Atlanta Live Music Examiner. As things begin to thaw out all over the US of A festivals emerge from their slumber setting up in towns everywhere focusing on communities, art, food, music or a little bit of everything. One such festival in Georgia is Dunwoody’s Lemonade Days. In its 16th year the festival is 5 days of fun with something for everyone, including music. Throwing support towards local music Lemonade Days is one of the many events in Georgia that showcases musicians from Atlanta and the surrounding areas. Music teacher Mark Gallegos’ love of local music is one of the main forces behind the stage at Lemonade Days as a mix of veterans and new comers share the stage. To some this is old hat to others it is their first foray into live music. Either way they get to play their music for fans and new listeners alike. With a bit of music being offered on multiple days, Saturday will be the main course with a full day scheduled. Headlining Saturday night is Atlanta’s Crane. Fronted by Anthony Crane the band delivers music that pulls from rock, blues, soul, funk, r&b and a few other genres. With a couple of EP’s under their belt the band’s music offers something for everyone. The songs make you feel good when you listen to them and when Crane plays them live they sound even better. Antony’s soulful voice leads the way as it rests upon the smooth rhythms and provided by the band. A good time will be had by all when Crane takes the stage and closes out Saturday’s festivities. Cute Boots take the stage bringing a wealth of piano driven pop music along with them. Don’t expect them to be a Joel or Elton knockoff because they are not. Cute Boots gives listeners songs built around catchy lyrics, vocal harmonies and upbeat melodies that are held together by unobtrusive rhythms. They separate themselves from other piano laden music with the addition of Charlie Mill’s guitar playing. Their live shows are high energy as the band’s joy of playing music is projected onto the crowd as they roll through songs that are destined to become sing-a-longs. Another band of note is Array. The young band has melded a raw rock sound with a classic new wave vibe. When you listen to the band’s debut record WOW you can tell that music from the 80’s & 90’s play a big influence. Array creates a bold sound around jagged guitars and rapid rhythms that remind me a lot of the pop infused rock of Material Issue or the Whigs. It warms the cockles of the heart to hear a young band embracing power pop/rock instead of the overproduced computer generated schlock many of today’s youngsters mindlessly follow. Array’s music should translate well live so expect a good set from them. Offering up a mix of covers and original tunes will be No Komment. The band has been making a name with prominent showings in multiple band competitions as well as playing in many of Atlanta’s more popular venues. With live shows at the Loft, Smith’s Lode Bar and North side Tavern under their belts the stage at Lemonade Days should be a piece of cake. In addition to these four bands look for a plethora of other local acts to take the stage. 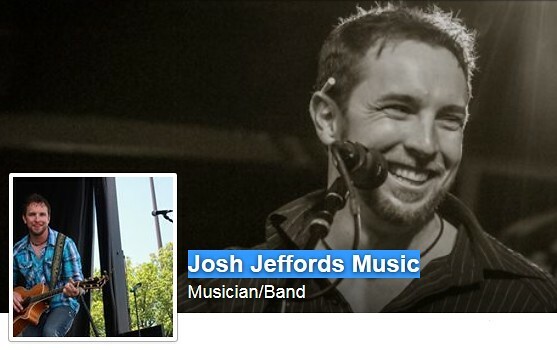 Go check out the full list of musicians, times and days at the Lemonade Days music website HERE. Gallegos will also be releasing a compilation CD this weekend at Lemonade Days. Teaming with dunwodymusic.net and Jangly Records a group of local and regional musicians has been assembled with each supplying a song for the charity album. Being For The Benefit of Crawford Long is a 12 song album put together to help raise funds for the Crawford Long Middle School Music Program. Many of the artists performing this week are on the CD. You will be able to get copies of the benefit CD at Lemonade Days. If you need something to do this week then head outside the perimeter to Dunwoody for Lemonade Days and check out a talented collection of local musicians. Spend the day taking in live music and throwing some support towards local music. Don’t forget to grab a CD and help keep music alive in school. Proclamation in Observance of National Arbor Day. FIRST READ: RZ 15-042: Pursuant to the City of Dunwoody Zoning Ordinance, applicant, Metropolitan Atlanta Rapid Transit Authority, on behalf of owner, Atlanta Office Investments Phase I, L.L.C. 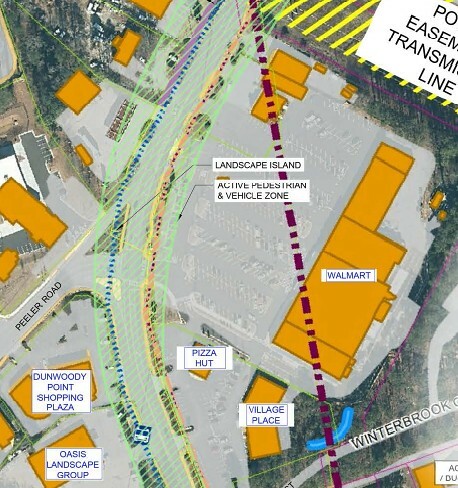 c/o KDC Real Estate, seeks permission to rezone property currently zoned Office-Institution (O-I) Conditional District to Local Commercial (C-1) District to allow MARTA to own and operate a new connection to the Dunwoody MARTA station. The subject property is located at 236 Perimeter Center Parkway, Dunwoody, GA, 30346. The tax parcel ID is 18 348 02 015. FIRST READ: SLUP 15-041: Civic Center Partners, LTD., applicant and owner of 1441 Dunwoody Village Parkway, Dunwoody, GA 30338, seeks the requirement for a building to come into full compliance be waived to allow for building renovations in the Dunwoody Overlay District under the approval of a Special Land Use Permit. The tax parcel number is 18 358 06 017. Approval of Tilly Mill at North Peachtree Right of Way Acquisition, Parcel 22 with Brook Run Park Deed. 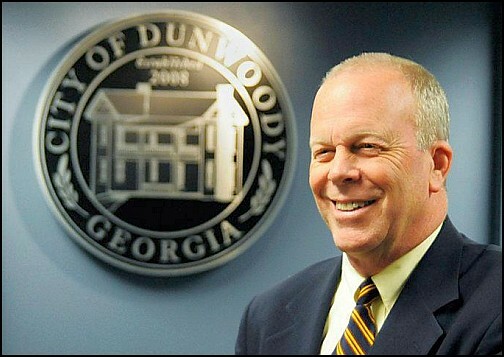 DeKalb's Lee May comes to Dunwoody and a bunch of other Dunwoody tidbits. I enjoyed a little time away. 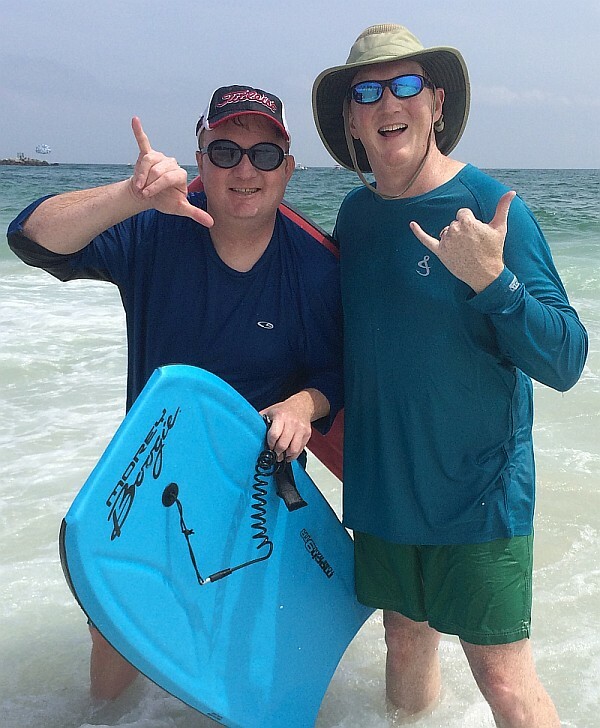 I stepped away from computers and work responsibilities to play in the sand in Orange Beach, AL with my family for a bit & I hope your spring break was as refreshing and joyous as mine. Where did you go? I have attended the annual Holocaust Remembrance Day (Yom HaShoah) in the past at the Marcus Jewish Community Center of Atlanta and the ceremony is quite moving. This year the ceremony is Sunday April 12, 3:30 p.m. – 4:30 p.m. The intersection of Spalding Drive and Mount Vernon Road will close for road construction starting Monday, April 13, according to the city of Sandy Springs. Please use Dunwoody Club as a Detour. Monday night is a Dunwoody City Council Meeting - I am excited about approving the next segment of the Brook Run Trail as well as installing another park. Lemonade Days starts Wednesday April 15th and runs through the weekend. I will probably be there every day of the event but if you have children who want to ride the rides; may I suggest that Wednesday & Thursday will be the easiest and most economical option if you can swing it. Lines are short or non-existent compared to Fri / Sat / Sun. Here is the $5 off coupon - in fact three. 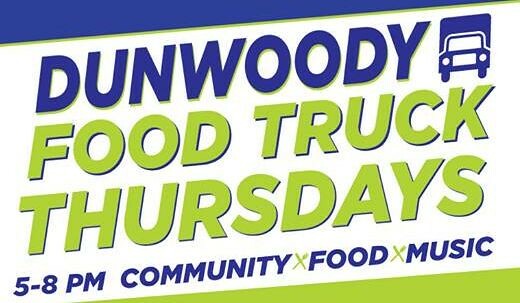 Dunwoody Food Truck Thursdays are back to Brook Run Park! King of Pops & The Blaxican are rated as Atlanta's best and they are regular visitors to Dunwoody. Saturday April 18 - Paint Recycling Event at Dunwoody Nature Center. MARTA’s efforts to extend access to transit to the Georgia 400 Corridor will move one step closer to reality - see plans - next meeting April 19. Have you even been in the Brook Run Greenhouse or Barn? The Dunwoody Community Garden and Orchard (DCGO) and the Dunwoody Fine Art Association (DFAA) will be selling plants and exhibiting Art from local artists at Brook Run Park at 4770 North Peachtree Road in Dunwoody, GA 30338 from Monday, April 20 thru the 26th at the Greenhouse complex, which is across from the skateboard facility. The hours will be from 9:00 AM to 5:00PM. The public is invited and there is no fee. Tuesday Night Kids Swim Season is soon upon us and Rick Callahan is prognosticating once again as to who is going to beat whom. The full schedule is here. If you do not belong to a local swim tennis association but have a child who would like to swim on a swim team, please reach out to Dunwoody North as we welcome everybody! If you live in the area and want to join what I consider the best swim tennis club in Dunwoody where my bride is the social director and I can be found playing water volleyball on weekends; please check us out. Kudos to Dunwoody Crime Analyst Amanda Head - the behind the scenes numbers cruncher works to keep us all safe. I bet many readers could guess where this story happened?